Kod*lab is a locomotion-centric component of the GRASP lab that includes a large component of the 10,000 sq. ft. PERCH facility devoted to various legged robots. The specialized control infrastructure and interface to standard operating systems used to perform experiments with these machines has been documented in the referred literature. At present there are two Ghost Minitaurs, three XRHex hexapedal robot, and a variety of experimental legged systems (Inu, Delta Hopper, Jerboa) in various partial states of redesign, rebuilding or completion. Kod*lab maintains three X-RHex robots which are available to students and collaborators for short- or long-term research projects. Currently, two robots are kept on-site for student research and demonstrations, while one robot is loaned out to collaborators in aeolian science as part of the Legged Locomotion for Desert Research grant. One XRL robot is belonging to Kod*lab is on loan to CMU, for which the lab provides technical support. 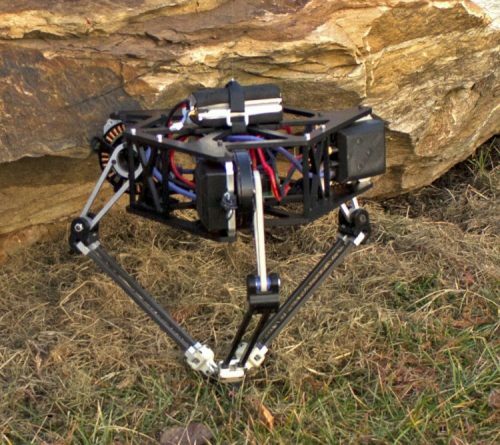 The lab also provides technical support for robots which have been purchased by other entities, including two X-RHex robots at the Museum of Science and Industry, one X-RHex robot at the Army Research Labs, and one XRL robot at Temple University. 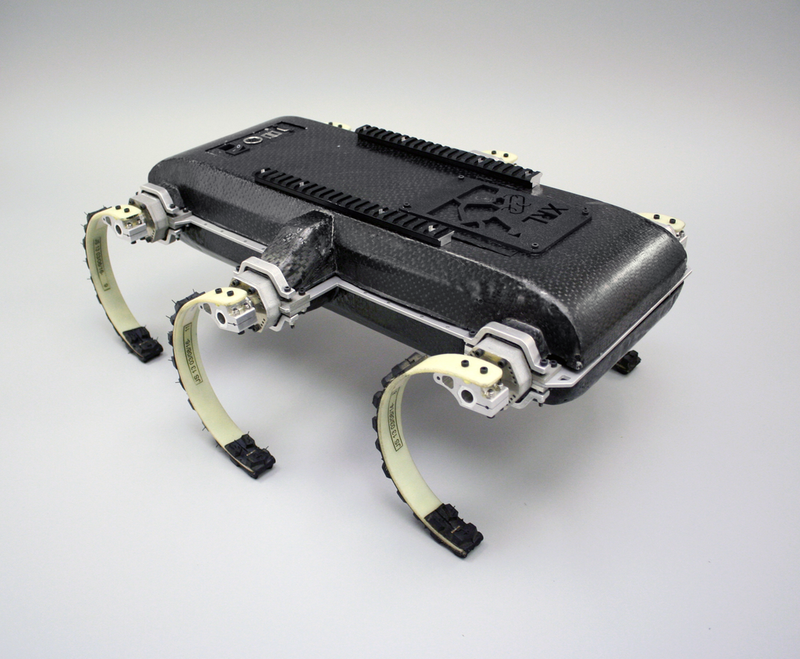 The X-RHex robots, a group of biologically inspired hexapods that are small enough for a human to carry in a backpack (10kg) while offering a large, flat back (57 x 39cm) on which a diverse suite of sensors can be mounted, have demonstrated great capabilities for a variety of aeolian measurement tasks. 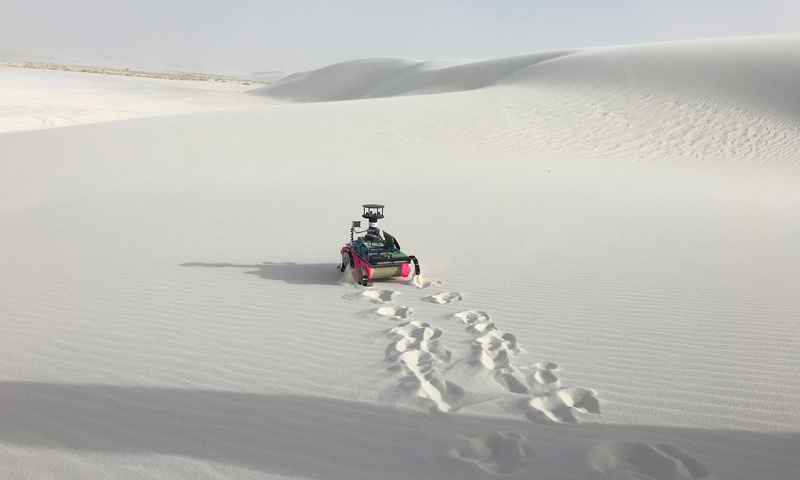 During the past two years, RHex has been deployed for desert research missions with aeolian scientists in White Sands National Monument (New Mexico), the Jornada Experimental Range (New Mexico), Little Dumont Dunes (California), Oceano Dunes (California), and the Tengger desert (Ningxia province, China). We expect that in the near future RHex will operate more autonomously in harsh environments and help scientists solve more challenging problems. X-RHex is designed for robust operation in complex, natural, outdoor terrain, and is the first RHex to feature a modular payload system. XRL is a lighter version of X-RHex designed to be more agile than previous RHexs, XRL also features a modular payload system. 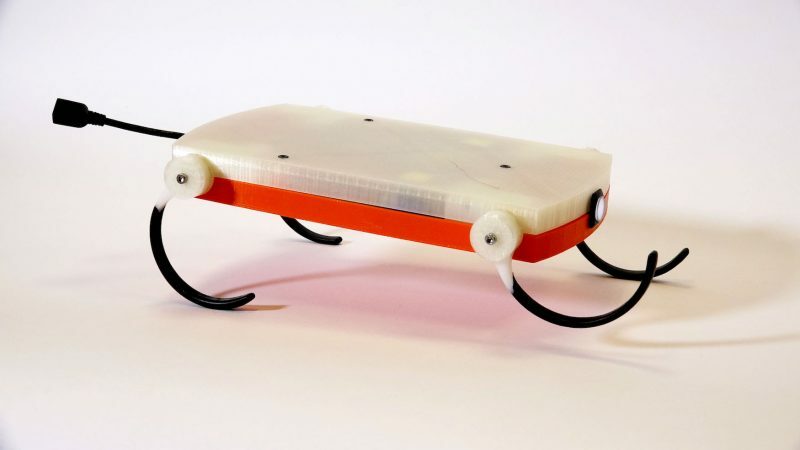 Ghost Minitaur™ is a medium-sized legged robot platform. Its high-torque brushless outrunner motors and specialized leg design let this machine run and jump over difficult terrain. High-speed and high-resolution encoders let the machine see the ground through the motors and adapt faster than the blink of an eye. Ghost Minitaur is capable of running and turning at high speeds (2 m/s and 1 rad/s respectively) and can jump over small obstacles (up to 0.48m). 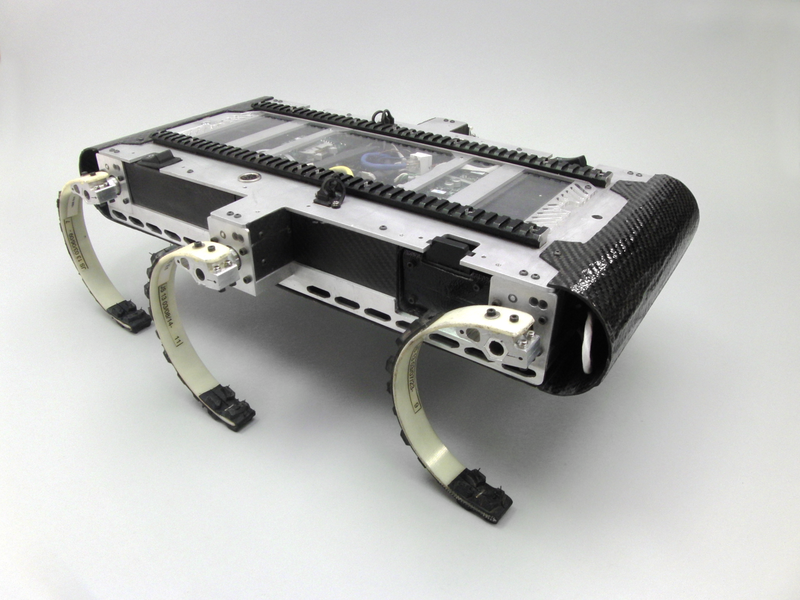 The robot can even climb stairs, chain-link fences, and open doors (behaviors still under development). The battery lasts 6.75 hours when the robot is standing and 20 minutes when the robot is running at full speed. 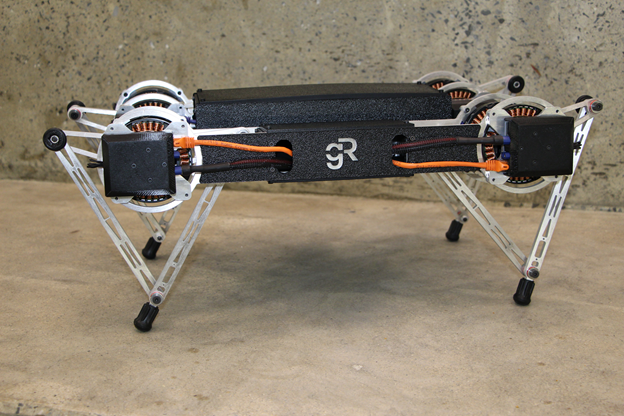 Inu is a quadrupedal robot equipped with a parallel elastic-actuated spine mechanism, allowing it’s back to bend in a similar manner to many animals such as squirrels and dogs. 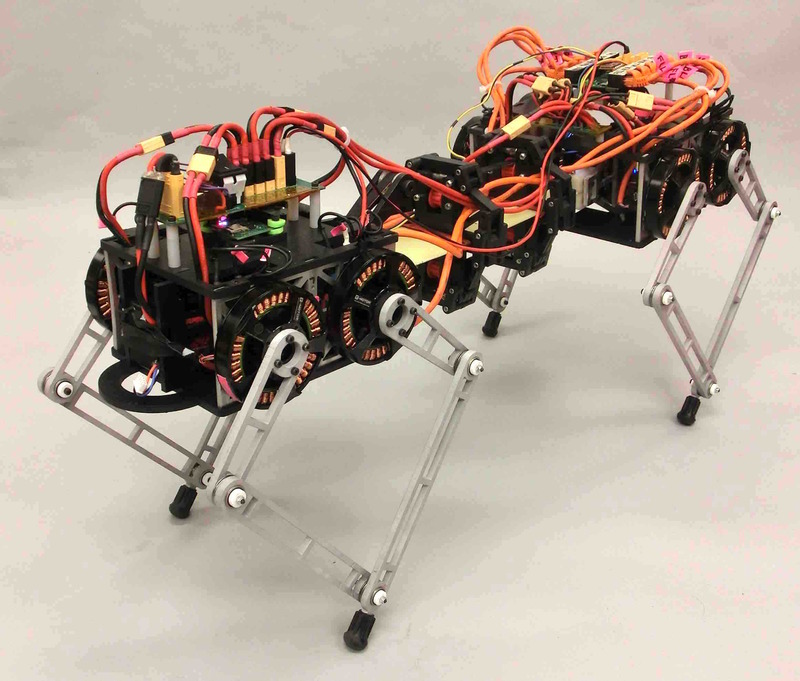 The Inu robot serves as a testbed to investigate the role that spine bending plays in agile legged locomotion for tasks such as running and leaping. We are interested in the application of dynamical systems theory to the invention and construction of intelligent machines and systems, with a particular focus on biologically inspired robotics. 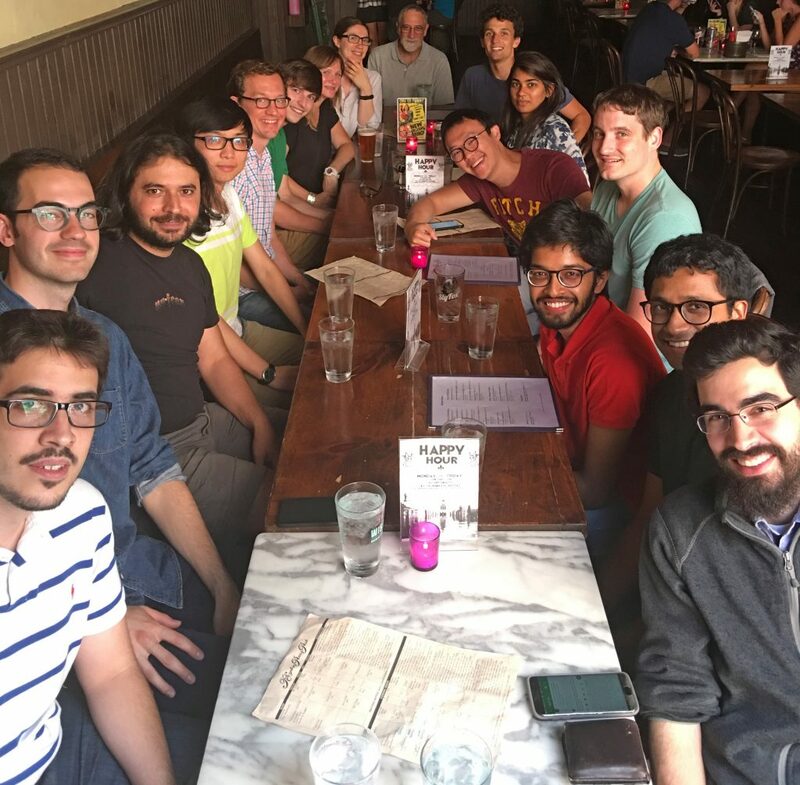 Many of us have worked in robotics with emphasis on dynamical dexterity and the management of kinetic energy in designing machines capable of performing useful work on their bodies and environments. Others of us have worked on more abstract problems of control and coordination with the object of developing new methods of design and analysis toward the construction of such machines.